What’s happening at Waitaha? – Forest & Bird What’s happening at Waitaha? Independent energy and law consultant Tony Baldwin assesses the four main reasons advanced by Westpower to justify why they want to build a hydro scheme on the Upper Waitaha River – and finds they don’t stack up. More than a year ago, the Department of Conservation agreed in principle to allow a hydro scheme to be built on conservation land above the pristine Morgan Gorge, on the Upper Waitaha River. Westpower wants to build a 16–20MW hydro electricity scheme on the Upper Waitaha River, about 40km south of Hokitika. The scheme would include, at the top of the untouched Morgan Gorge, a 5m high concrete wall across the river diverting most of the water into an intake structure, down a 1.5km tunnel, through penstocks, then into a powerhouse and switchyard, and then through a tail-race structure back into the natural flow of the Waitaha River about 2.6km downstream from the intake. The scheme would mostly be located on pristine conservation land, which all parties agree has outstanding natural values. 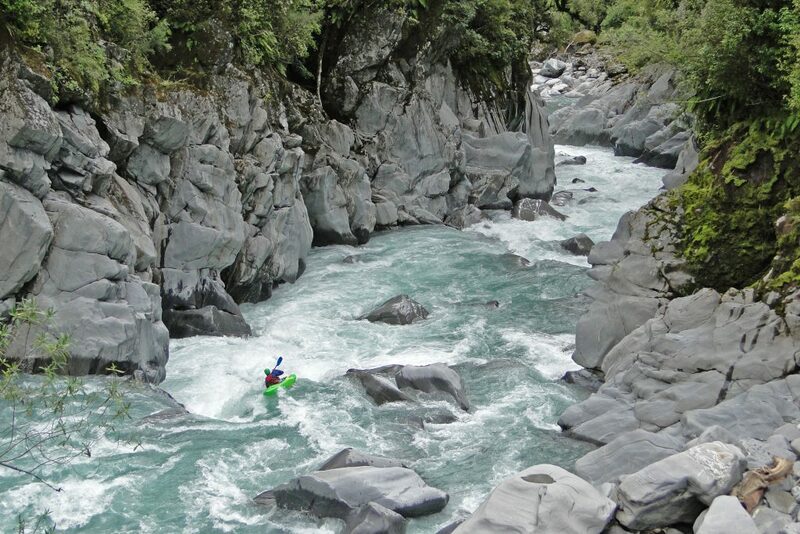 At the time of writing, the government still hadn’t made its decision on whether to approve this controversial proposal.Forest & Bird made a submission against the scheme last year and has been campaigning to stop the hydro dam on conservation grounds, working with recreational user groups – in particular, Whitewater NZ, who represent New Zealand’s white water kayaking community. Everyone, even Westpower, agrees the conservation area in question is a place of outstanding natural values. Both sides also accept the hydro scheme would cause high adverse local effects. It is also agreed the hydro scheme would substantially reduce the minimum flow of water into the Morgan Gorge. Will the new government protect one of New Zealand’s last remaining wild rivers or will it approve Westpower’s application in the name of “regional development”? REASON 1: To meet growth in electricity demand and provide adequate reliability: The West Coast already has a large surplus of electricity supply capacity, not a shortage. Seven years ago, the Coast’s transmission capacity was increased by 100% to cover expected growth in mining and dairy. It will take decades to use up the surplus capacity. As for reliability, Westpower’s own corporate reports state that the transmission upgrade in 2011 “restored security levels to good electricity industry practice standards”. REASON 2: To lower carbon emissions in New Zealand by backing off generation from coal and gas stations: Intuitively, this sounds logical, but it’s not. In terms of reducing carbon, Westpower’s hydro scheme would make quite a weak contribution because its power output would drop in the winter (because of low river flows), which is when coal generation tends to be high. Other less expensive renewables – such as geothermal and wind – are much better at reducing the need for coalfired electricity year round. If Westpower builds its hydro station ahead of cheaper geothermal and wind options, it will mean we save less carbon than we otherwise would because building those better renewable generators will be deferred. In short, Westpower’s scheme is likely to cost the country in carbon. REASON 3: To provide confidence to potential investors to invest in the West Coast: This is contradicted by Westpower’s own annual reports, which clearly state that its existing electricity supply is not a constraint on future economic development. REASON 4: To make the West Coast “self-sufficient” in electricity from community-owned generation: It might sound good to buy locally produced electrons – like buying locally produced food – but it makes as much sense as arguing that Blenheim or Gisborne, or indeed any other part of New Zealand, should be self-sufficient in electricity. That’s why we have a national transmission grid –to provide electricity to consumers around New Zealand with access to lower cost generation that might be miles from where they live. In summary, Westpower’s reasons don’t stack up. In truth, its hydro scheme wouldn’t get off the ground now if the shareholder funds were coming from private investors instead of soft capital from the consumer trust that owns Westpower. Why? Because the wholesale market price of electricity for the coming three years is about $75 a unit,while the full cost of power from the Waitaha is probably in the $90 to $100 range. So, until prices rise by about 20%-30%, Westpower’s scheme is not likely to be economic. Much cheaper (and already consented) new generation is available before Westpower’s scheme would become economic. Which leaves Westpower’s one remaining reason for their proposed scheme (in their words): “If we can create a surplus of electricity generation on the West Coast … then we should.” Really? The West Coast already has a large capacity surplus, and peak demand is lower than it was seven years ago when supply capacity was doubled. This is after 14 years of Westpower (and others) massively overestimating growth in its annual forecasts in the lead up to lodging its Waitaha application in 2014. In reality, Westpower is seeking concessions now to give it the option to build the Waitaha scheme sometime in the future if and when it may become economic. While Westpower’s business goal is to get bigger, I suggest the community’s funds would be better spent strengthening services the West Coast really needs, like more health care. In summary, Westpower’s hydro scheme would displace more efficient renewable generation options, waste the community’s money, and degrade an outstanding piece of pristine wilderness owned by the country as a whole, not just the West Coast, for no good reason. The Conservation Act sets a relatively high hurdle for commercial activities to be carried out in special environments such as the Upper Waitaha River valley. In my opinion, Westpower’s hydro scheme falls well short of the act’s requirements. Tony Baldwin is an energy and law consultant. 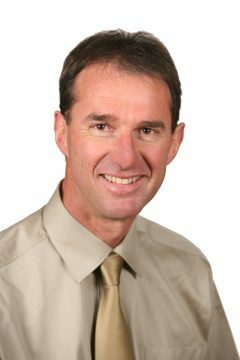 His expert report and submission on the Waitaha hydro scheme are at www.tonybaldwin.co.nz. *A version of this article first appeared in Forest & Bird magazine, you can read back issues on https://issuu.com/forestandbird or join today www.forestandbird.org.nz/joinus to receive four magazines a year delivered to your door. I really appreciate the clarity and cogency of this article. Thank you, Tony.